A businessman from West Yorkshire has been handed a three month prison sentence after attempting to block speed cameras using a jamming device. 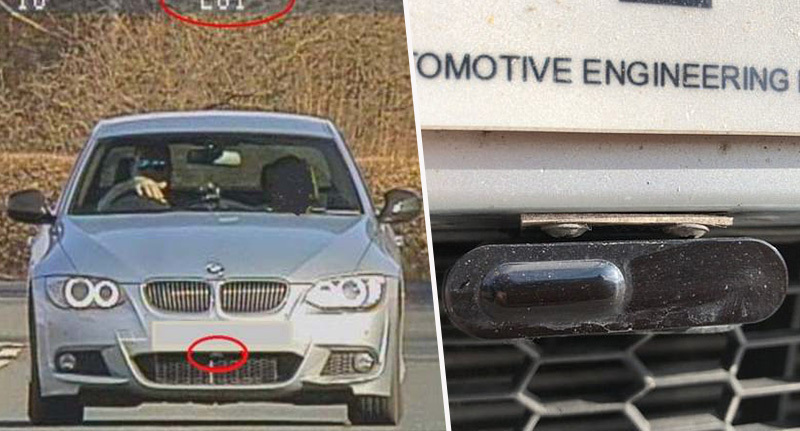 58-year-old retired marketing director Michael Twizell of Dewsbury, attached the device to his BMW 3-series model, just above the number plate, in a bid to block the speed camera system from monitoring how fast the vehicle was going. During February last year (2018), Twizell was travelling along the A658 close to Harrogate in North Yorkshire. It was then officers at a parked police safety camera van recognised something was up. An error message had flashed up on the system, suggested somebody had been trying to outsmart the traffic officers. Further investigation uncovered the gadget, and Twizell has since been sentenced to three months in prison, as well as been handed a £1,500 fine. The sentence was handed down at York Crown Court, on February 11, with Twizell pleading guilty to perverting the course of justice. To use this device which was capable of interfering with police speed measurement is clearly, as shown today, a very serious matter. Drivers may face a custodial sentence for using such a device in this way. North Yorkshire Police will continue to investigate similar allegations when people use these devices to interfere with the normal course of justice. I advise anyone who may have a similar device fitted to their vehicle to think about the consequences of using such a device and strongly recommend that they remove it from their vehicle to avoid a future prosecution. This isn’t the only time in recent years police in Yorkshire have had to deal with this sort of dangerous incident. In April 2018, company director Timothy Hill fitted a ‘laser jammer’ to the front of his white Range Rover. He was filmed speeding past cameras while giving them the finger on three separate occasions between December 9-14, 2017. At first Hill, from Grassington, near Skipton, denied his guilt after realising he was under investigation. He chucked the device in a river and told officers he had been ’60 miles away’ at the time of the instances. However, as reported by the BBC, Hill later admitted to being the driver in question and was charged with four counts of perverting the course of justice. Hill was given an eight month jail sentence at Teesside Crown Court as well as a 16 month disqualification from driving.